1. 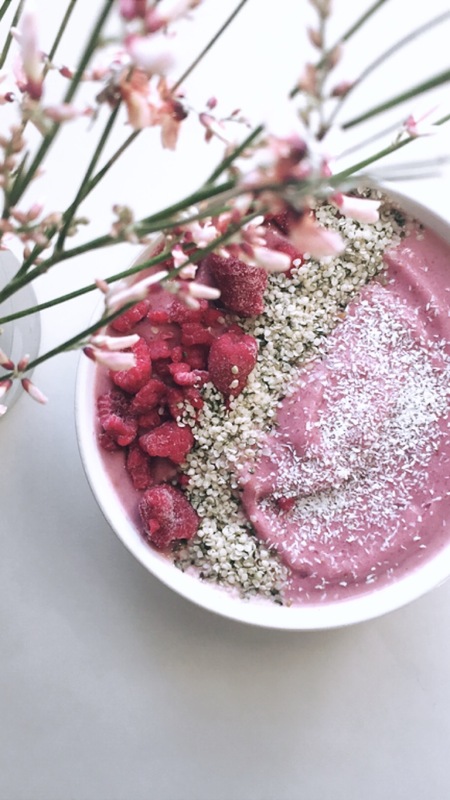 Combine raspberries, banana, coconut water, yogurt, collagen, honey, and protein powder. Blend until smooth, and add ice to achieve desired thickness. 1. Combine banana, acai fruit puree, and almond milk in a blender. Puree until smooth. 2. Pour smoothie into a bowl, and top with blackberry, hemp seeds and blackberry. If you're a fan of the unicorn food craze - but don't want to spend money on unhealthy surgery drinks then thisone is for you. This is a healthy take on a beautiful blended drinks that perfect for the summer. This classic, but slightly sweeten smoothie is a great substitution. The smoothie is smooth, thick, creamy and full of all the nutrition you need. Add manago, almond milk and banana to a blender and blend on high until creamy and smooth. Once smoothie, set it aside or pour into the bowl or cup. Add vanilla yogurt, almond milk and strawberry in a blender, let blend until smooth and creamy. Again set it aside. In a blender add almond milk, banana, morigina and matcha. If serving in a mason jar or cup, pour your mango, chia seeds, and mango again. Top the mango with little of vanilla yogurt, and Moriga and matcha. Best when fresh, though leftovers keep well sealed in the refrigerator up to 24 hours. 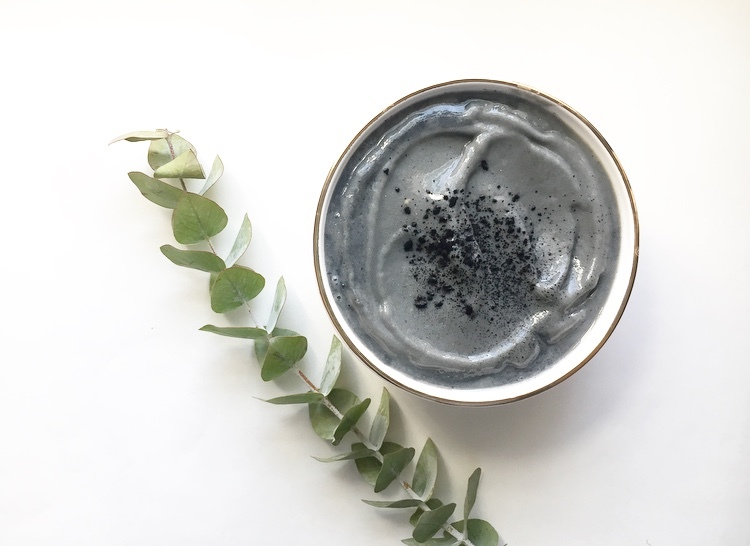 Although this weird looking smoothie may not look attractive, it is however delicious, energizing and will leave you wanting more. This concocation has everything your body needs on a slow Sunday morning or right after a workout - it has abundance of protein and healthy fat that will fill you up and keep you satisfied, all of this nutritious benefits comes from one ingredient - Almond Butter. As always this smoothie contains no sugar, but tumeric which I often used a substitute for sugar. Turmeric arehighly known for their Anti-inflammatories qualities. For those with a sweet tooth like myself I find that turmeric is a great substitute for sugar. This is a simple, natural and minimal recipe that takes less than 10 minutes to do, especially if you have a busy morning or day that doesn't allow you to cook breakfast. For those like myself that may not consume as much protein or calories in the morning, this recipe is fantastic and a great way to get those needed nutrition benefits in a single serving. Lately I've been trying to find ways to eat more green vegetables and fruits - with school and work sometimes it's easy to get into ruts especially when you have excess for pretty much not eating healthy. Lately I've been in that rut where I'll do my grocery shopping and the only green I get is a banana, sometimes I go a whole week without eating a single fruit or vegetable. So, to get of that rut, lately I've been waking up an hour early (6:00-6:30am) and make myself a green smoothie. To make thins even easy I try to keep it as simple and minimal as much as possible. If there is one thing I hate is when people put what seems sometimes like million of items in their smoothie (e.g., nets, seed butter, Maca, Cacao, Protein powder, banana powder etc...) and the list goes on and on. Having to deal with clutter and junk (foods, stuff, advice, excuses, advertisement, stress etc...) the last thing I want to do in the morning is stress out about what I should be putting in my smoothie. Why clutter your morning and breakfast with junk when you can keep it simple and start the day with one less junk. After all sometimes the simplest dish are often the most delicious dish. I am in love with this simple smoothie, it's simple and delicious; all you need is Banana, Spinach and Turmeric and honey if you want the sweet flavor, or mask the taste of spinach. The one thing I always put in my smoothie is TURMERIC, I absolute love it. Aside from the anti-inflammatory benefits and it also contains curcumin which is a powerful antioxidant. If you have a sweet tooth like make and can't have a smoothie without honey, I find that turmeric is great substitute because it masks the strong taste of the green fruit or vegetable, but it also has sweet/ginger like taste to it. Blend everything in high-speed blender until smooth. Serve and enjoy!